Standard Bank has zero-rated its mobile app. 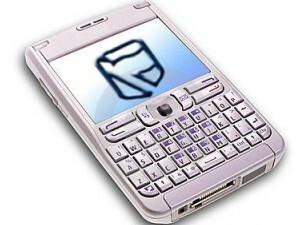 Following in the footsteps of fellow banks, Standard Bank has zero-rated its mobile banking app. Africa's largest bank by assets announced last week its customers will no longer incur data charges to use the app no matter what network they are on. According to the bank, it reached an agreement with all major network operators in SA to zero-rate access to the banking app. "One of the drawbacks of using an app and related features like sending money or making payments was that it encountered data charges," says Vuyo Mpako, head of digital banking and e-commerce at Standard Bank. "As we continue to enable our customers to achieve their 'nexts' by expanding our mobile and digital offerings, our next step was to improve the user experience even further by dropping those added costs, effectively giving our customers greater access to mobile banking solutions." Mpako adds: "This zero-rating comes at a time when customers are under financial pressure, and our hope is that this benefit will offer some relief, allowing customers to save a little extra towards things that are personal to them - whether that means spoiling themselves or putting money towards their next financial goal." Standard Bank's move to forgo data costs for its app means all the major commercial banks in SA allow customers to use their banking apps free of charge. Absa, Capitec, Nedbank and First National Bank offer zero-rated mobile apps. Standard Bank states app users can open savings and investment accounts, send money to anyone with a cellphone in SA and make international payments. In addition, customers can change ATM limits, stop a lost or stolen card and get a new card delivered to a preferred branch, submit homeowners' insurance claims, with photos, and manage car loans and request a vehicle's cross-border letter. "Standard Bank is not standing still when it comes to driving digital innovation as a core part of our future strategy. Our mobile traffic is already growing 100% a year and enhancing mobile solutions will become even more integral in the future as we enable our customers to tap into next-generation services and solutions," says Mpako.